Remote work is a growing trend very likely to soon take over a large percentage of the job market. A study by Swiss agency IWG found that 70% of professionals work remotely at least one day a week, while 53% work remotely half of the week. The numbers are likely to increase since remote work seems to be more positive, healthy and encouraging for professionals. 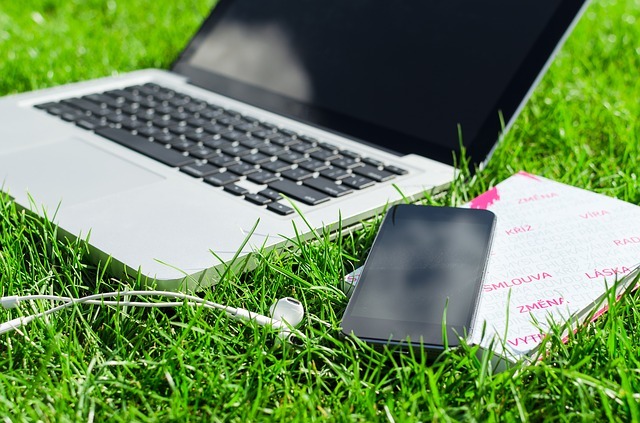 Many remote workers plan to establish a remote working lifestyle for the rest of their careers and it is becoming a strong demand from workers to have their companies adapt to remote working solutions for the workforce. Although establishing remote work systems for a company is a great way to reduce operational costs and keep your staff happy, it is important to take security measures into consideration and to keep the entire team aware of the attitudes they should – and should not – take to keep the business network safe. Everybody already knows you -and your remote employees need a good anti-virus to protect devices against malware and viruses. In this article, you will learn some other actions that can be taken by you and your employees to keep your data and network protected. The first thing you as a manager or business owner could do to help your employees help you is to provide training. Remote workers need to be clearly aware of all the risks and threats to which they are exposed. Besides, make sure to have a clear written protocol document to share policies of use with the workers so that they can always get back to it in case they have any questions. If your team works remotely they need to avoid downloading business material to their devices, which are inherently less secure. Windows Remote Desktop Protocol is an application that allows employees to access a remote desktop within the company’s internal protocol. Here is a tutorial to help you set up an RDP. This avoids unnecessary copies of important files and download of files to unsecure desktops. Keep in mind that it is the manager’s responsibility to limit user privileges over the network and to remove privileges from any users who cease to work or abuse on their network rights. Remote workers should always browse on a VPN on all devices used to access company data. A VPN is an essential measure to keep your company’s data secure, especially if the employees are using an RDP. If they use an RDP over a public network, then all the company’s network is open and the data coming in and out of the network of desktops is easily accessible by hackers and third-party interceptors. Make sure to include the VPN on your security protocol and reinforce the need to turn it on whenever your employees are working. Even if your employees use a VPN an extra security measure is to avoid browsing on a public Wi-fi. This is to avoid any information being leaked in case an employee forgets turning the VPN on or if the VPN stops working. If your employee absolutely needs to use a public Wi-fi for any reason, then a kill switch is an extra security measure to be added. The kill-switch interrupts the connection in case the VPN server falls. Besides, a VPN that uses a 256-bit AES encryption method is the safest recommendation for public Wi-fi networks. Our recommendation for VPN services – NordVPN. Read a review of it. Reinforce a strong and unique password policy to your employees. Although setting up a single password might make life easier it can come at a high cost. Keeping all passwords at an encrypted document on a protected folder might be a good idea to avoid losing passwords. Recommend your workers to set up screen passwords for extra protection in their work laptops, smartphones and whichever device they use. Potential infiltrators take advantage of whatever security gap they can find, and much data can be stolen from physical access to devices. If the devices get lost or stolen all sensitive information is at the fingertips of third-parties without if the device is unprotected. Encourage your employees to keep any work-related USB and external drivers in secure locations and to set up passwords to restrict access. Make it a rule for your employees to avoid sticking company logo stickers or using it as background pictures to the computer. This way you can avoid getting attention from potential intruders who target your company’s data. For security, discretion is also key.